M&M’s is bringing back a holiday favorite. 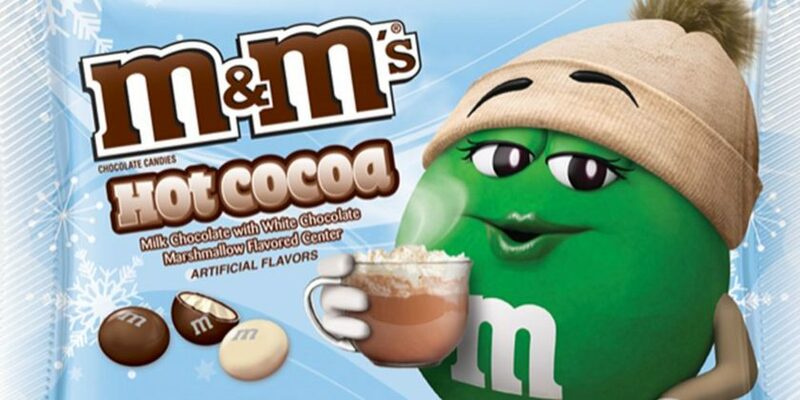 The Mars brand has revived their hot cocoa-flavored M&M’s, which first hit store shelves in 2015, and this time, they’ve made them taste even more like a mug of hot chocolate by replacing the inner chocolate layer with a marshmallow-flavored center. The new flavor will be sold exclusively at Target, where you can also find more hot cocoa-inspired treats like Dove Hot Cocoa chocolates filled with marshmallow creme and Hershey’s Hot Cocoa Kisses. Earlier this year, M&M’s added even more genius flavors to their lineup, including Hazelnut Spread, Orange Vanilla Cream, Caramel and Espresso. The newest flavor is expected to hit stores in mid-November and will cost $3.19 per bag.